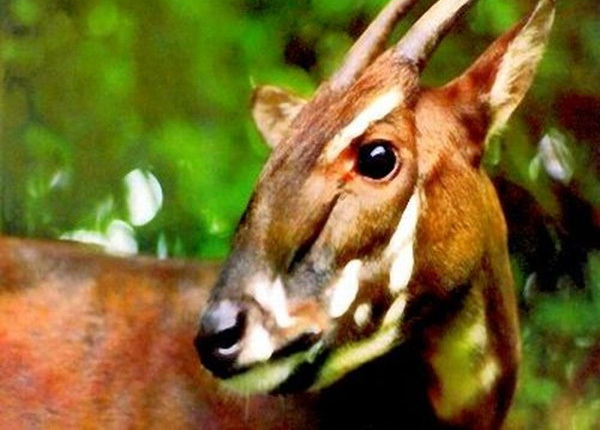 The EWCL Saola Team worked to improve snare removal in saola habitat, increase awareness about the plight of the saola, generate financial support for saola conservation activities, and provide capacity for the IUCN Saola Working Group (SWG). 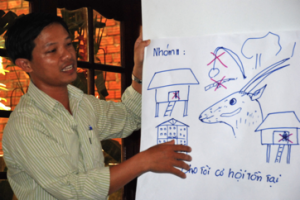 The team secured funding for and worked with partners in Vietnam to conduct a workshop in the Quang Nam Province that provided training to rangers related to saola conservation, snare-removal techniques, and identification of key challenges. The Saola Team designed a logo and website to serve as a centralized source of information on saolas. They also created the first saola video that will be used by saola conservation partners including the IUCN SWG and the Cologne Zoo. 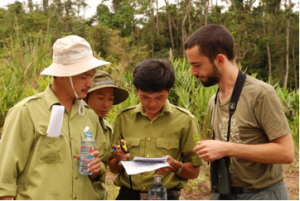 The EWCL-ST secured funding through World Wildlife Fund’s Russell E. Train Education for Nature (EFN) to conduct a workshop in the Quang Nam Province of Vietnam. The EFN workshop provided training to rangers related to the importance of saola conservation, snare-removal techniques, and identification of key challenges. The EWCL-ST worked with partners in Vietnam to organize the workshop and prepare materials. Thanks to additional funds from the EWCL board, two EWCL-ST members were able to attend and assist in the facilitation of the workshop. Additionally, the team members were able to collect valuable photographs, interviews and video for saola awareness campaigns. The EWCL-ST facilitated collaboration between SWG members, prepared materials and designed a website to be launched in conjunction with the saolas’ premiere at the Wildlife Conservation Network Expo in San Francisco. The EWCL-ST teamed up with SWG at the Expo and provided much needed awareness about saola conservation and raised funds. The saola website, www.savethesaola.org (1,570 viewers as of December, 2010), was developed to serve as a centralized source of information for the public, in relation to saola conservation needs, as well as individuals and organizations involved in saola conservation. The website also provides numerous opportunities to make donations to the saola conservation effort via the internet, a function that did not exist before. In summary, the EWCL-ST provided training for 10 rangers and worked with 8 government officials in Vietnam, raised over $11,588 in funds to support saola conservation, developed key logos and website for marketing (representing $2,800 of in-kind contributions) and created the first saola video that will be used by saola conservation partners (e.g., SWG, WWF and the Cologne Zooe) for fundraising and awareness raising. 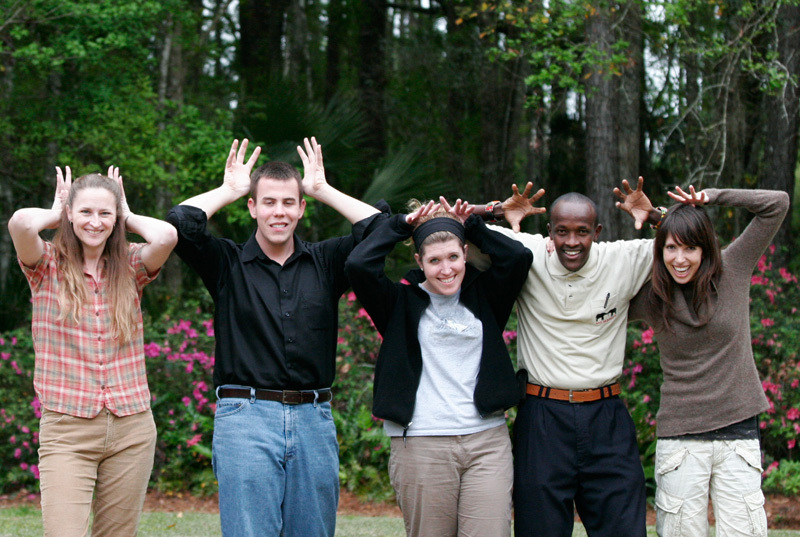 They created a website at www.savethesaola.org/ where they keep current information on saola and saola partners and projects. 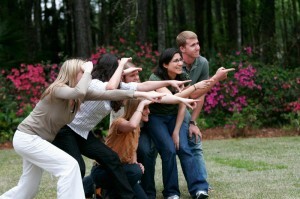 The website also hosts the first saola video that has been used by partners for fundraising and awareness. 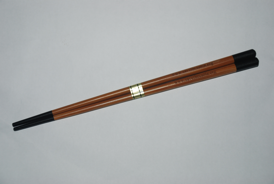 For the WCN conference in October 2010 the team created chopsticks for the IUCN SWG to give away to conference participants and get the word out about the www.savethesaola.org website. The team also helped sell t-shirts created by Global Wildlife Conservation, one of the IUCN SWG partners, to raise money for saola projects. 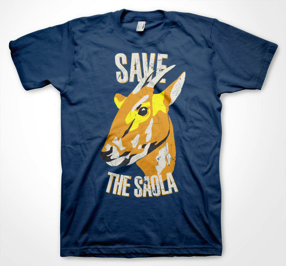 Visit www.savethesaola.org for more information on how to help the saola species.